2018 was the year that the world took notice. Not an easy thing to do in an Apple and Samsung world but Huawei found a way. With the last addition ( Huawei P20 Pro), standards were set, and now the question is; is Huawei here to usurp the current leaders in the mobile game? 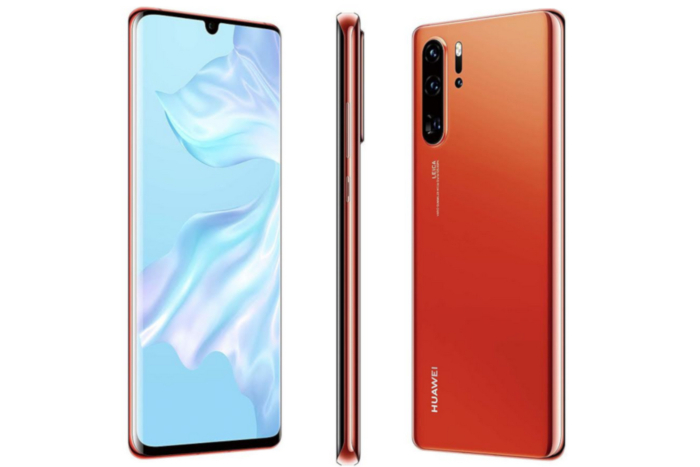 The design is something to shout about, Huawei has continued with their blueprint of making phones that not only feel good but look good. The phone sports a glass body giving it the usual premium design that we’ve gotten accustomed to. This year they’ve experimented with their colours; besides black, they have Pearl White, Aurora, Amber Sunrise ( my personal favourite) and Breathing Crystal which all have a glossy look so expect them to be a fingerprint magnet. Let’s talk about the front. Huawei hasn’t gone for the hole-punch camera approach that’s said to be popular this year; instead, you will find “dewdrop” at the centre of the device. Don’t be alarmed; this is barely noticeable giving you a chance to admire that beautiful 6.47 OLED display fully. What’s missing from such a screen is a speaker. Huawei has decided to remove the top speaker but is now going for an in-display sound. Using Huawei acoustic display technology the sound will be projected from the vibrations into your ear. And trust me when I say, you won’t notice the difference. Following on from the P20 Pro the P30 Pro continues the trend of the complete removal of the headphone jack. However, you will find a USB Type-C earphone in the box as that is compatible with the USB Type-C charging port. A significant improvement is the in-display fingerprint scanner. With the release of the older model, there was a lot of noise about how inaccurate it was. It looks like Huawei has been listening and made that better ( who says brands don’t care?). Not a fan of the fingerprint? No problem. You can also unlock your phone using the face unlock system; similar to the iPhone Face ID. With the 4200mAh battery ever present you will be sure to get a day use out of this device. Add in the fact it has a 128GB or 512GB and an expandable memory of 256GB you will have storage for years. This is where it gets exciting. The Huawei P-series are always centred around great camera performances, but this takes it to the next level. Straight away you would notice a camera at the front of the phone, but interesting enough there happens to be three at the rear, which is where the real fun begins. Sit down, grab a drink and breath because this is going to take a while to unpack. Ready? What’s called a Bayer array is in typical phone camera sensors. This is known as RGBG, a four-piece grid that delivers red, blue and green light to the pixel and the camera is only able to decipher full-colour information from this reading. Huawei has gone down a different route and has decided to go with red, yellow, blue, yellow (RYBY) array, as yellow light frequency is more sensitive, thus capturing more information for a detailed result. Phew, we got there. To summarise Huawei low light performance is on par or even better than the current king of low light performance – Google Pixel 3 due to RYBY. That’s not all. In terms of megapixel, the P30 Pro has the highest that we have seen so far this year. A 40 MP (Wide Angle Lens, f/1.6 aperture, OIS) + 20 MP (Ultra Wide Angle Lens, f/2.2 aperture) + 8 MP (Telephoto, f/3.4 aperture, OIS) at the rear of the device. This is a lot, but there’s a reason for this. Let’s break it down. You see, all these numbers have a significance. Take the 40 MP for example. It takes on the form of a traditional HDR setup. You know, taking multiple pictures at the same time while sticking them together? That’s what it does; it speeds of the photo taking process, so you don’t have to. 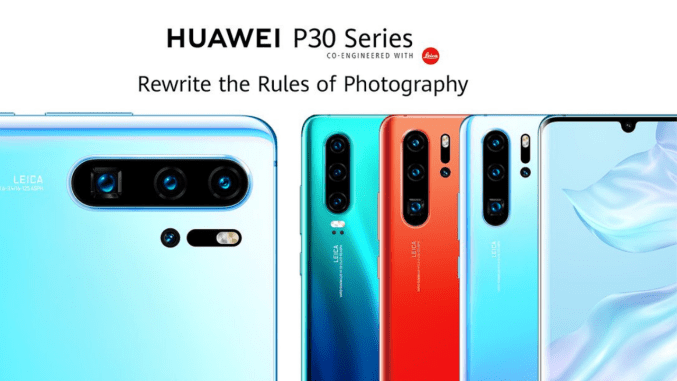 The second camera on the Huawei P30 Pro is an ultra-wide-angle 20-megapixel f/2.2 unit which you can use to capture panoramas and large group shots, or objects you’re standing very close to. So mostly this does the simple stuff that most other camera phones are pretty much good at. But the most important one is Huawei’s periscopic optical zoom camera. Don’t be fooled by the 8 MP. You see; this is better than the big guns of the phone world- Apple, Samsung and Google to name the obvious. 5X optical zoom is normal, but there’s a 10X “hybrid” and up to 50X digital zoom, though this last one isn’t really needed. If you have shaky hands, then this is definitely for you as the camera stabilises the image even when you zoom in. But, due to the 8 megapixel zooming in may not be ideal. But overall this camera is about to blow your mind. Want to take pictures in a nightclub? No problems, as all your images will come out crisp and clear as if you were using a DSLR. This is the camera of the future. With the software its a mixed bag. On one side its a fast phone due to Kirin 980 processor, 8GB of RAM, and so much space you have no idea what to do with it in the form of 128GB and 512GB of storage. However, Huawei’ EMUI software isn’t as pleasing as it could be. This isn’t anything new for Android, most brands fall at this, but they’ve been some massive improvements on the likes of Samsungs UI because they realised something; less is more. Android is a powerful operating system in itself – see Google Pixel for it in its purest form – so adding an extra skin is a companies way of differentiating and showing us what they’re capable of. But I’m pretty sure slow and laggy in doing the most straightforward thing like pulling down the quick settings on the lock screen isn’t one of them. As whats coming to become a trend for them, Huawei hasn’t disappointed in the slightest. Amazing colour variations, design and a camera that will most likely go unmatched this is more than likely going to be the phone to beat in 2019.